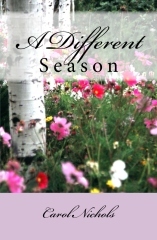 A Different Season is being carried by Full Circle Bookstore in the tower just south of Penn Square Mall. It is a wonderful independent book source with truly remarkable ambience. Quaint rooms and no less than three fireplaces and a cafe if you favor a light lunch or perhaps wine and dessert 🍨.